INDUSTRY.co.id - Jakarta Bank Bukopin raised Rp 1.46 trillion from the Rights Issue IV (rights issue) process conducted until July 27, 2018. Limited Public Offering IV (PUT IV) is a corporate action carried out by Bank Bukopin in order to increase the Company's capital. With the additional capital, the Company's current capital adequacy ratio increased to 13.5%. The rights issue plan of Bank Bukopin previously received an effective statement from OJK on June 29, 2018. Pre-emptive rights trading transaction (HMETD) was conducted on 13 July - July 25, 2018. After the HMETD trading process, KB Kookmin Bank as Standby Buyer purchased Bank Bukopin shares of 2,563,000,000 shares at Rp570 per share. Payment of the transaction has been made on July 27. Bank Bukopin's share price on the market at the closing of the transaction on July 26 reached Rp404 per share. After the rights issue process, the composition of shareholders of Bank Bukopin became Bosowa Corporindo (23.4%), KB Kookmin Bank (22.0%), Bulog All Indonesia Cooperative (KOPELINDO) (12.4%), RI (8.9 %), and Public (33.3%). President Director of PT Bank Bukopin Tbk Eko Rachmansyah Gindo revealed the inclusion of KB Kookmin Bank as a buyer of Bukopin Bank shares at a premium price indicating the high confidence of international market participants on the business prospects of Bank Bukopin. We are grateful that the rights issue process has been realized as planned. 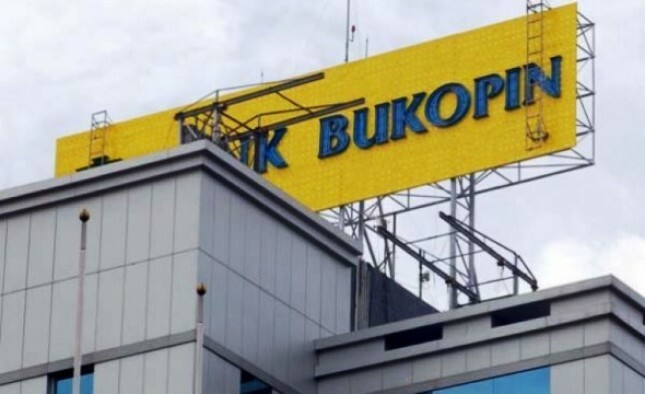 After obtaining additional capital from the rights issue process, in the second semester, Bank Bukopin can focus on spurring growth and performance, he said in Jakarta, Friday (7/27/2018). Bank Bukopin has prepared a number of strategic programs to spur growth performance, among others by spurring the growth of quality asset, the development of fee based income, operational efficiency, improving the structure of Third Party Funds and preparing future business through start-up business and fintech alliance and reach new customers from millennial generation. In the future, Eko explained that Bank Bukopin will still focus on the Retail and Consumer segments.